The defaults are split into separate packages because they're for different EPs, seemed like the best way to do it this time. Some textures are linked in-game so if you download one piece it might recolour another but I'll note that. Most textures were doubled in size so your croaky download folder might want to know about that in advance. 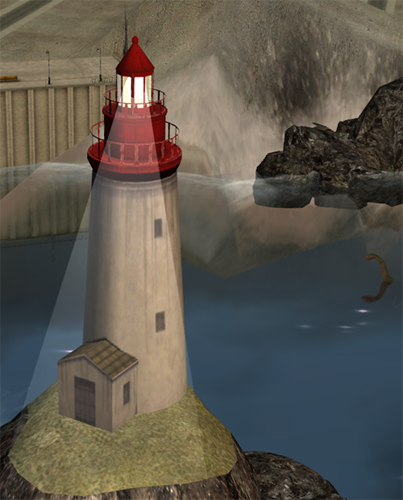 The lighthouse above uses a bit of HolySimoly's cracked plaster on there and the default will work for both of them (one with rock, one without). 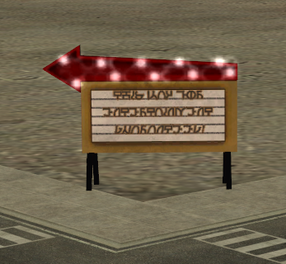 "This way for entertainment guaranteed" in Simlish v3. I imported the text part with DDS but it will still look a tad fuzzy if you zoom waaaaay in. 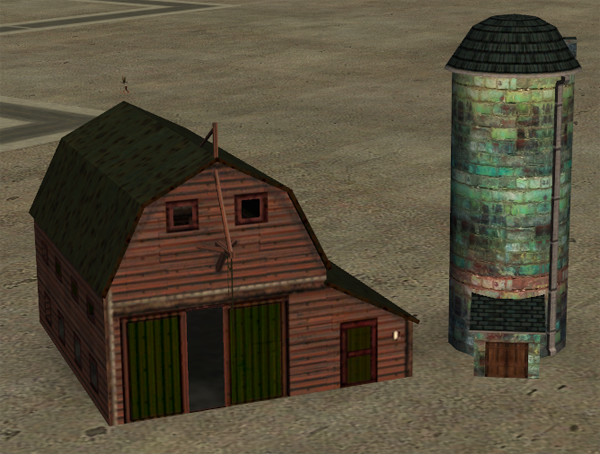 I put one of Fiddledeedee's Half-Life sidings on the barn and Nixy's Portland Brick on the silo. The mapping on top of the mid-section on the bridge is not good so it looks a wee bit stretched towards the right-hand end of the stone part. Yes, the mesh is that flat and disappointing close-up. I wanted to make it look a bit Silent Hill-ish but hrmmm. There's a bit of Mammut's rust on the poles. 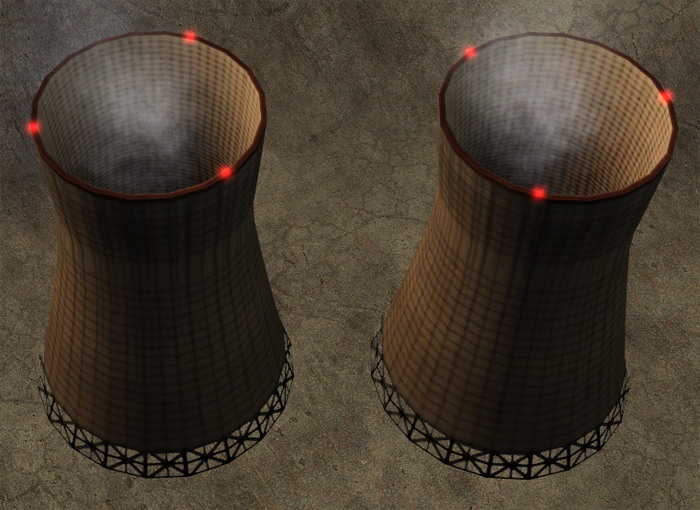 Used a couple of bits from the default Power Plant on there so they look better together. Will recolour that fiddly little bit of wall you can see on the far left as well. Maxis brick and Holy Simoly plaster on the bottom. It's supposed to be metal, according to the texture name so it is now properly metal \m/. The texture came from CG Tuts. 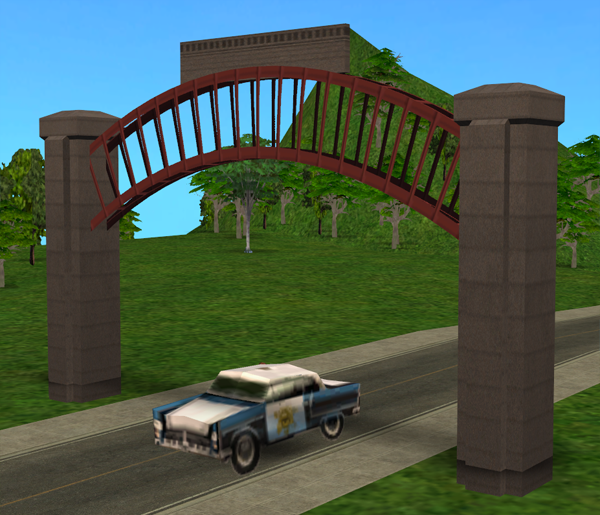 The bottom of this won't look the same if you don't download the bridge replacement, it'll just be its usual brown in that case. 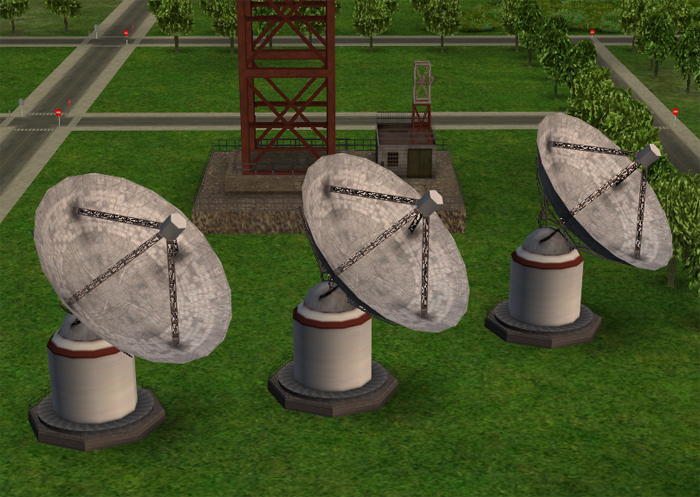 The purple part on top is not the texture, it is reflective because it was supposed to be bloody metal, Maxis! 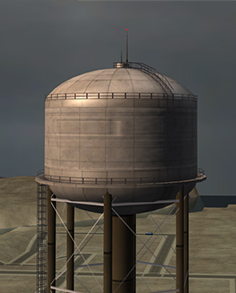 The barrier part will be white if you don't use the big Sims water tower default (posted below). Filthy and mysteriously goes through mountains. There's a teeny square of CuriousB's pavement on it too. 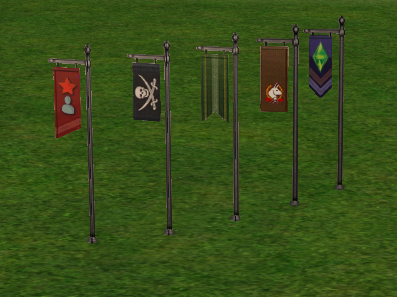 I do use the green and pirate ones sometimes so I just tarted those up, really. The icons on the others were extracted by SaraMK and the plumb bob is the S3 one. 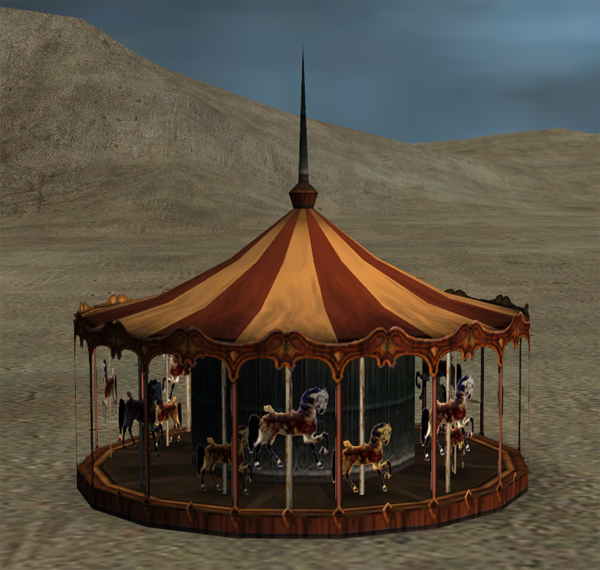 This is another super flat mesh like the carousel if you zoom in too close. Rusted. 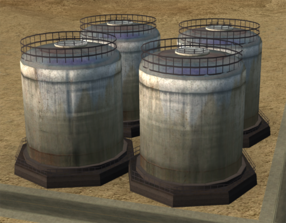 The barrier part will be white if you don't use the big Sims water tower default (posted below). 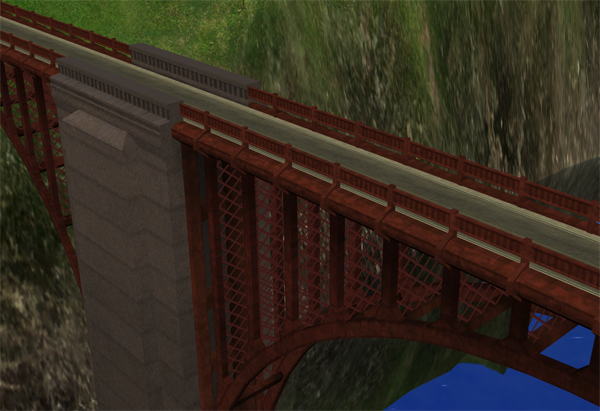 This also uses the bridge stone for its bottom texture so that will be brown if you don't use the bridge default. 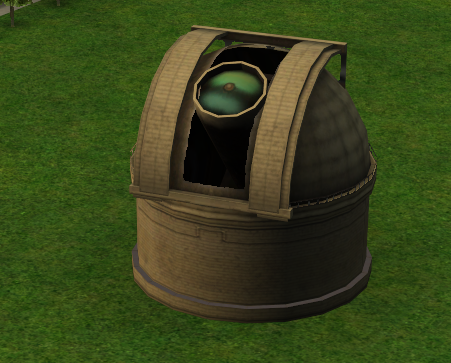 The barrier part will be white if you don't use the big Sims water tower default (posted below). I fixed the seam on the dish texture since, too sleepy to load up the game now. 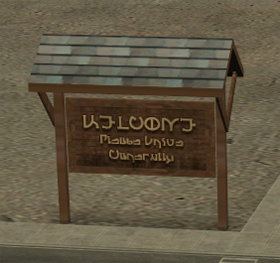 More Simlish ("Welcome. 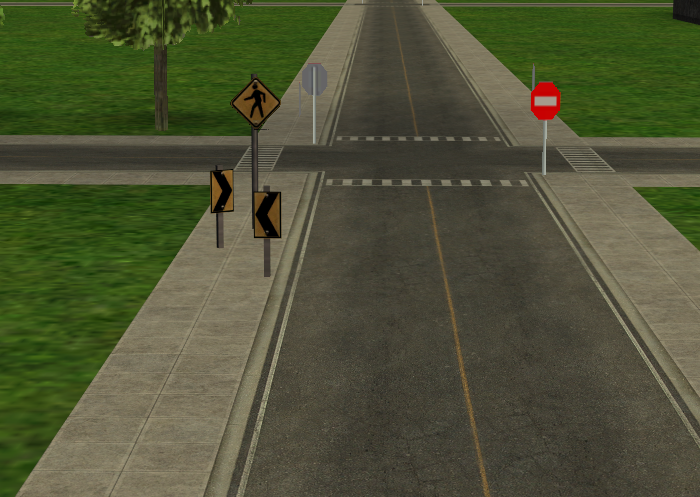 Please drive carefully"), because I do not need to see a Sims 2 logo to remind myself I'm playing the Sims 2 whilst I'm playing the Sims 2. Works for the uncovered one as well. 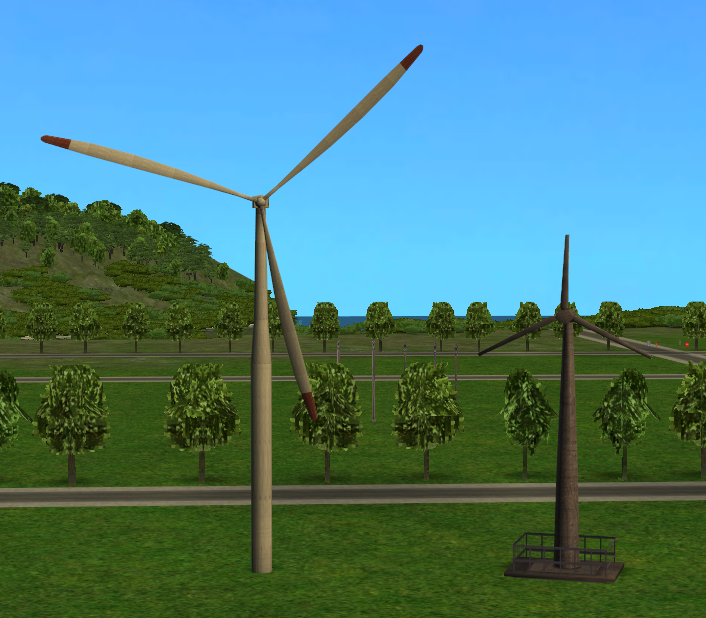 The wood on this is also used for the other wooden Simlish sign (looks like a blackboard, kinda) and the telephone poles so it will recolour those if you put this into your download folder. 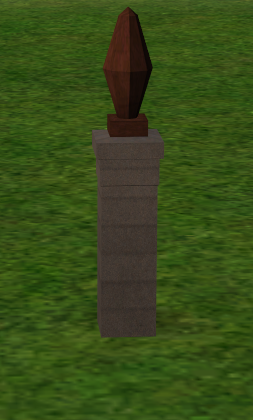 The wooden texture came from a Psychosim lamp-post. DDS import as before but still, slightly fuzzy if your camera mod can zoom you right up to it. 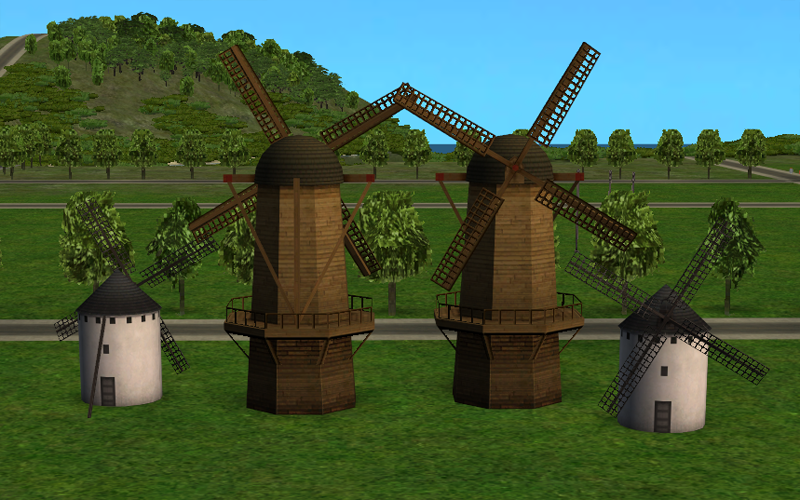 No graffiti, no Sims logo. The panels do not want to line up properly whatever I do so I give in because of reasons. Tarted up a bit. Wooden is Dutch, plaster is Spanish. HolySimoly again. The boring "doesn't do anything" one. 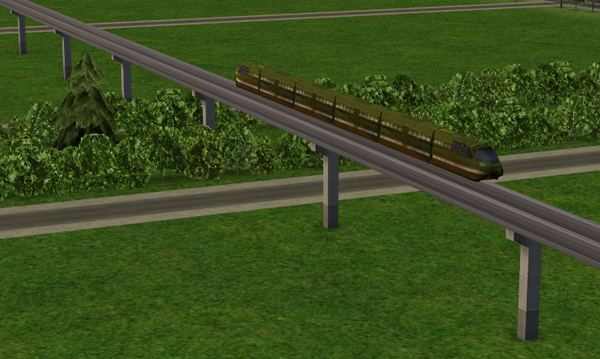 This uses the same rail from the big Sims water tower at the bottom, I think. If I've buggered anything up I'll fix it tomorrow, cheers. Good gravy... My neighborhood is going to look VASTLY superior to what it was before. Thank you so much for these. I hated these neighborhood objects shiny and bright look. 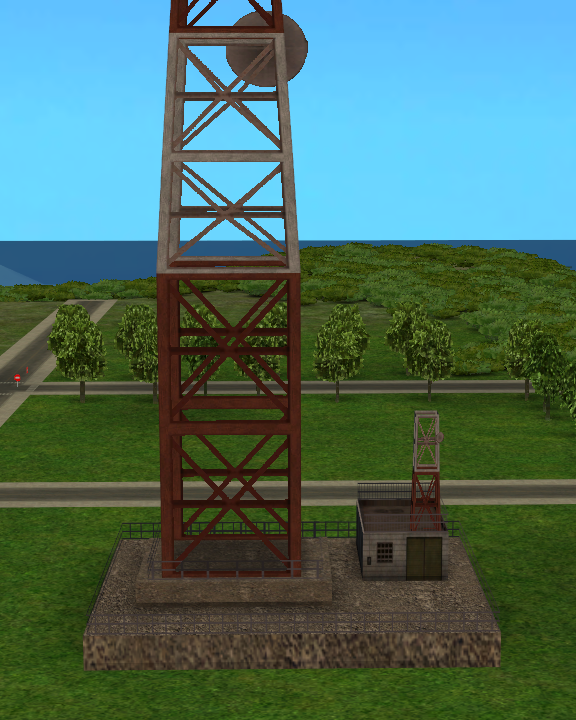 You don't know how much I needed that water tower - again, it's been on my own 'to-do' list forever (probably since I first got the game)! Thanks! That logo annoyed me one too many times, grrrr. Glad it's useful! Lots of useful defaults all over the journal, and these grungy nhood ones are especially cool, thank you! Glad you like them, simlili!